Personalized. 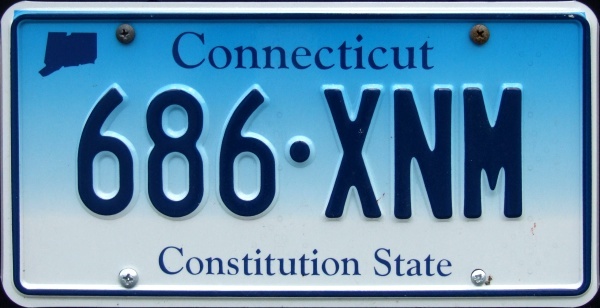 1998-2000 base (Sesquicentennial - 150 Years). Personalized. 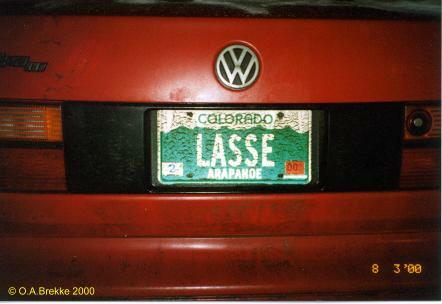 1993-98 and 2000-11 base. 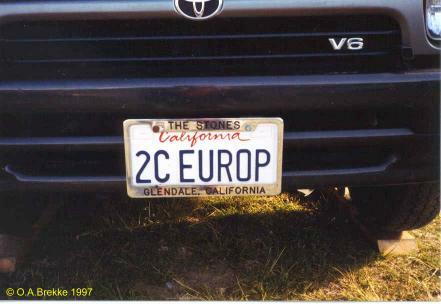 "To see Europe." Passenger series 1959-82. 1976/77-99 base. 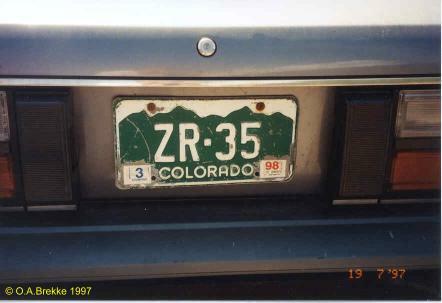 ZR = Summit county. 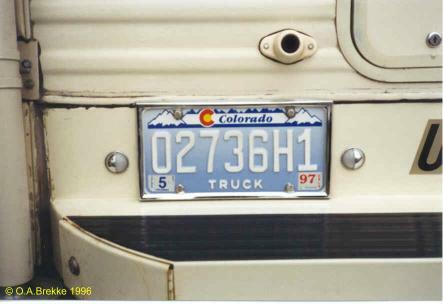 Passenger series 1992/93-99. 1976/77-99 base. 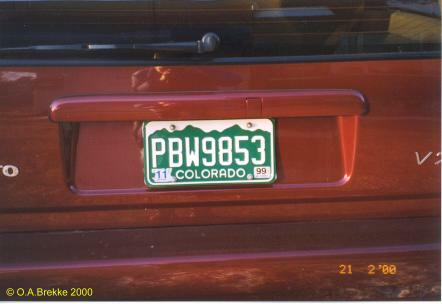 PAA-RZZ = Arapahoe county. Normal series 2000-15. 2000 base. No coding. Personalized former style. Arapahoe county. 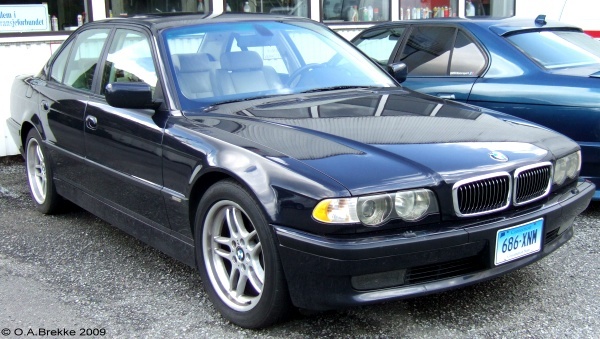 Optional "Designer" series 1992-2000. Truck. Weld county. 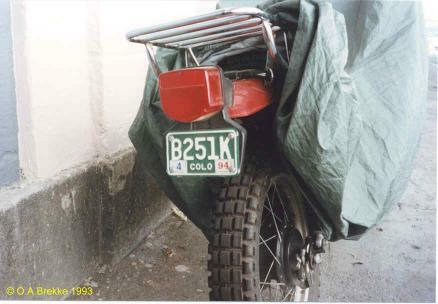 Motorcycle series 1984-93. 1983-2000 base. BK = Denver. 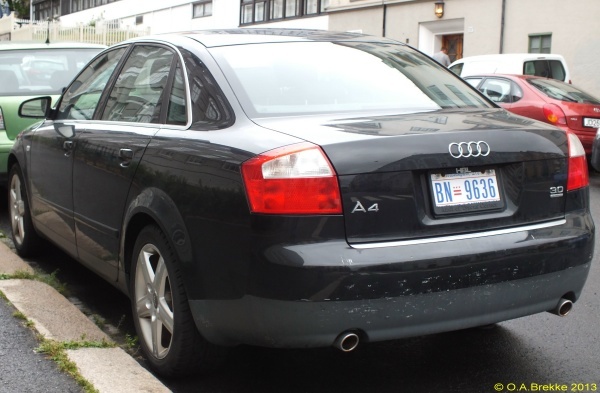 Normal series 2000-15. Motorcycle. 2000 base. No coding. Personalized. Optional PRESERVE THE SOUND base since 1992. 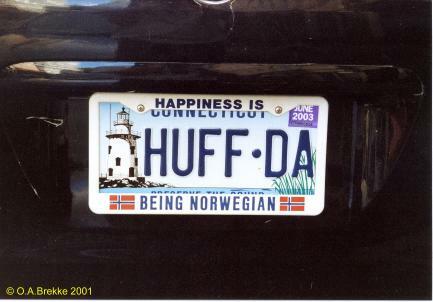 "Huff da" is a Norwegian expression. 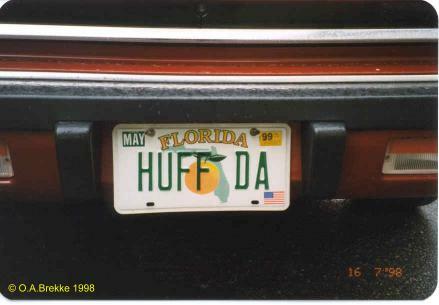 See also HUFF DA from Florida. Passenger series 1980-2013. 1987-99 base. No coding. 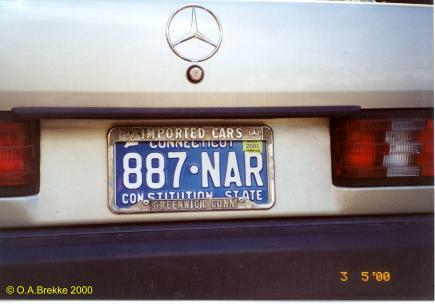 This base plate was valid until 2002. Passenger series 1980-2013. 2000 base. No coding. Pleasure commercial series since 1951. 1970 base. Current issues have six digits. 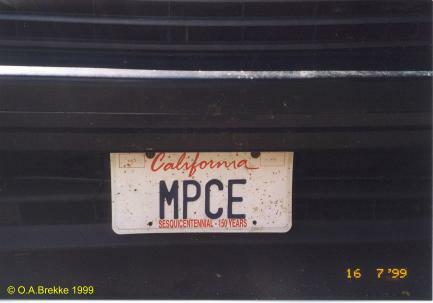 PC (vertically aligned) = Pleasure commercial (SUVs, station wagons etc.). Slogan THE FIRST STATE at the top. 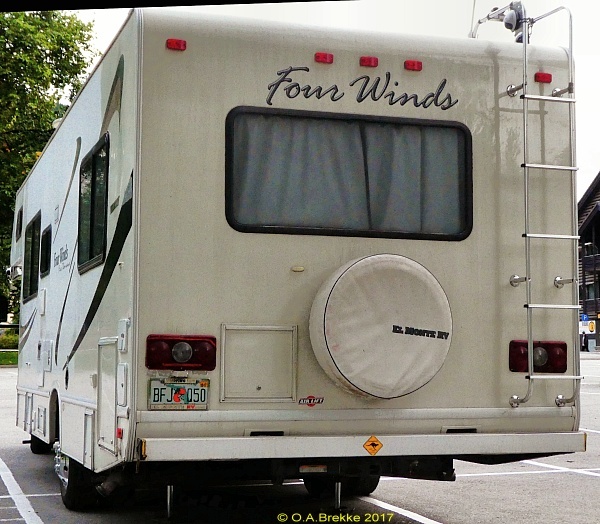 Passenger series since 1997. 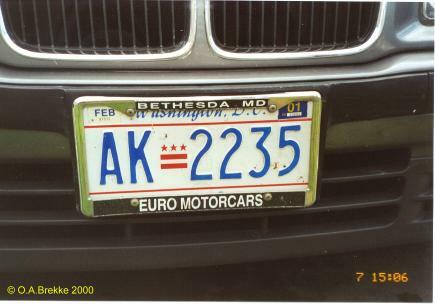 1997-2000 base. No coding. 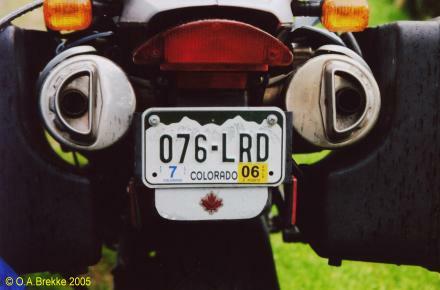 Slogan "Celebrate & Discover" hidden by the plate frame. Passenger series since 1997. 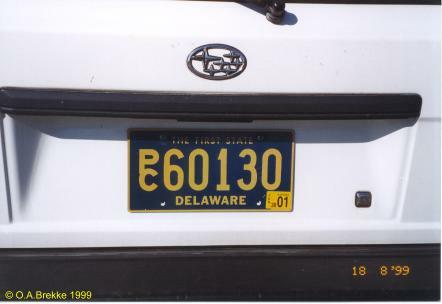 2000-03 base. No coding. 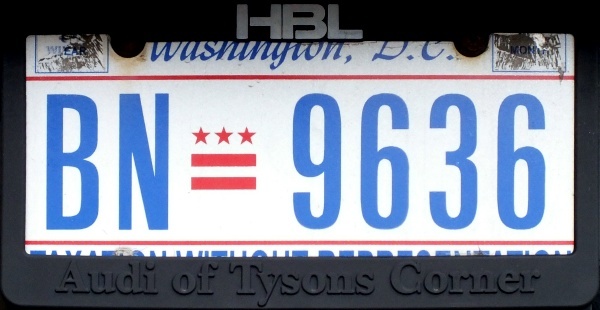 Slogan "TAXATION WITHOUT REPRESENTATION" hidden by the plate frame. Passenger series since 2010. 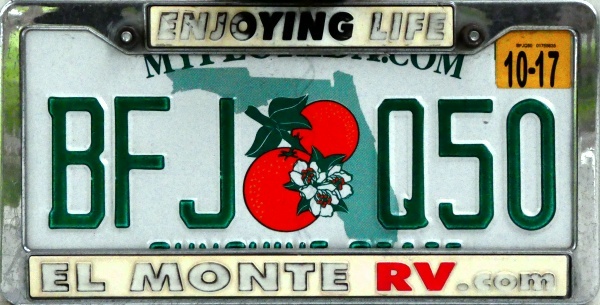 2003 base (Sunshine State). No coding.